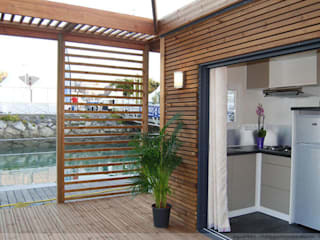 Aquashell manufacture Floating Modular Houses, Restaurants, Resorts, Hotels etc. The Factory is Based in Northern Britanny, France. 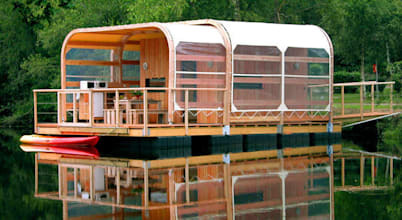 These units can be used on water as well as on Land. 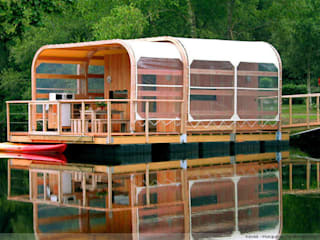 The Floating House are made with Ecological materials : Polyethylene, Aluminium for Floating System & wood for the Houses. 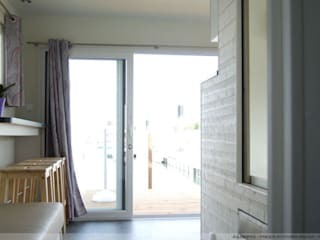 Nowadays, it is much easier to travel and move about than it was ten years ago, and this new found flexibility is being reflected into our daily lives a little more each day.